The Our Stories series from Black Dog Books takes a fascinating peek into our Australian culture--our cities, our events, our people. 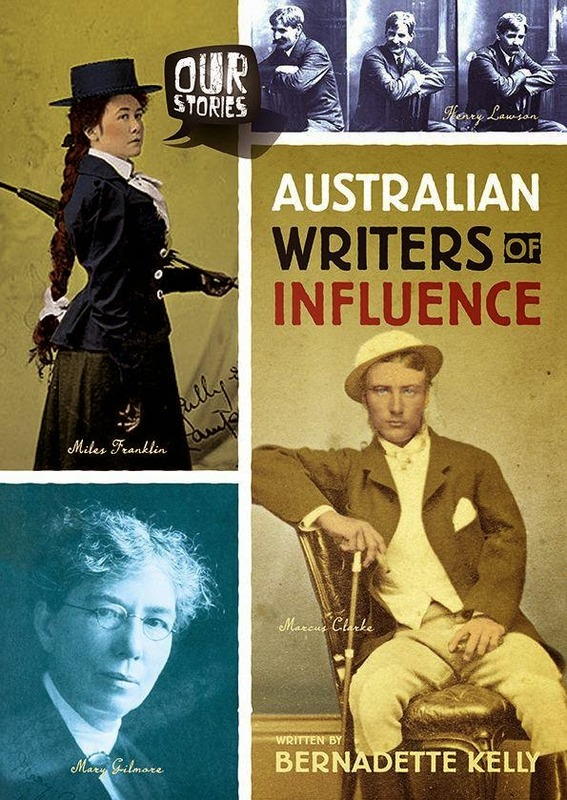 In this latest addition, author Bernadette Kelly reveals Australian writers of influence in an informative and engaging way. The book begins at the beginning--when 'pen and paper ruled the world'--a novel concept for today's children when texting and typing is more the norm. A world of paper and ink? This has to be something that will both boggle and entrance kids. During this time, in 1826, the very first set of poems were published in Colonial Australia--by an Australian-born author. Entitled Wild Notes from the Lure of a Native Minstrel, the book was penned by Charles Thompson, a public servant and a forerunner for Aussie authors. Other authors featured in the book include Marcus Clarke, Louisa Lawson, William Lane, Banjo Paterson, Mary Gilmore, CJ Denis, May Gibbs, Miles Franklin and Henry Lawson. The fascinating literary tousle between Lawson and Paterson is also included - entitled The Bulletin Debate.